Possibly an image that links well with the concept you want pupils to display in their wordscape. 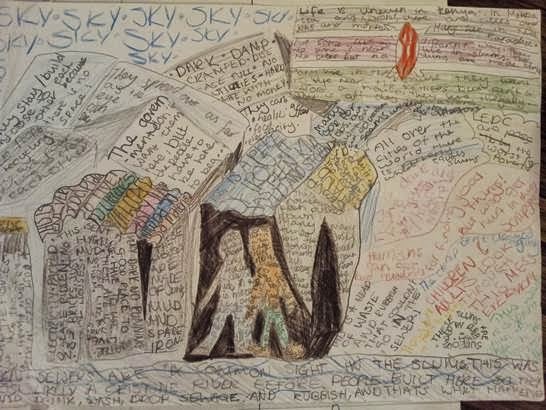 Wordscape = a landscape made of words. Wordscapes are a blend of written words, phrases and images. An example within the wordscape would be to use the word ‘sad’ drawn like a frown. Wordscapes are often used in Geography to promote literacy and develop pupils’ ability to describe places using extended details and phrases, however this activity can easily be adapted to show a freeze frame of a concept or key idea in any other subject.